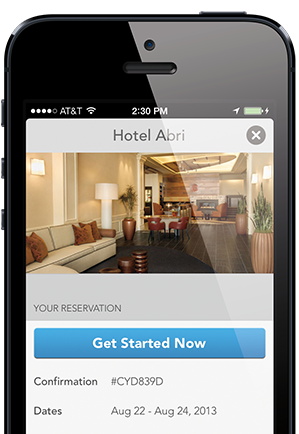 CheckMate helps travelers find the right room and avoid checkin lines. CheckMate works with travelers and hotels to make sure they get placed in the right room and bypass checkin lines by delivering instant notifications to both travelers and hotels and hotels when rooms are ready. The process is simple but was only available in English. CheckMate delivered their strings files to VerbalizeIt to have their app translated into Russian, Spanish, Portuguese, Italian, and French. CheckMate’s string files were routed through VerbalizeIt’s translation platform and delivered to verified translated worldwide with specific instructions to maintain CheckMate’s context and customer experience across multiple languages. Today CheckMate’s app is available in six languages and they are getting downloads and customers from all over the world. When CheckMate updates their app, they aren’t saddled with unnecessary charges. VerbalizeIt’s translation memory ensures that CheckMate is only charged for new translations. Most importantly, CheckMate has maintained the contextual meaning of their app across languages and can deliver the same experience to every user that downloads their app. Sign up for App Translation Today!